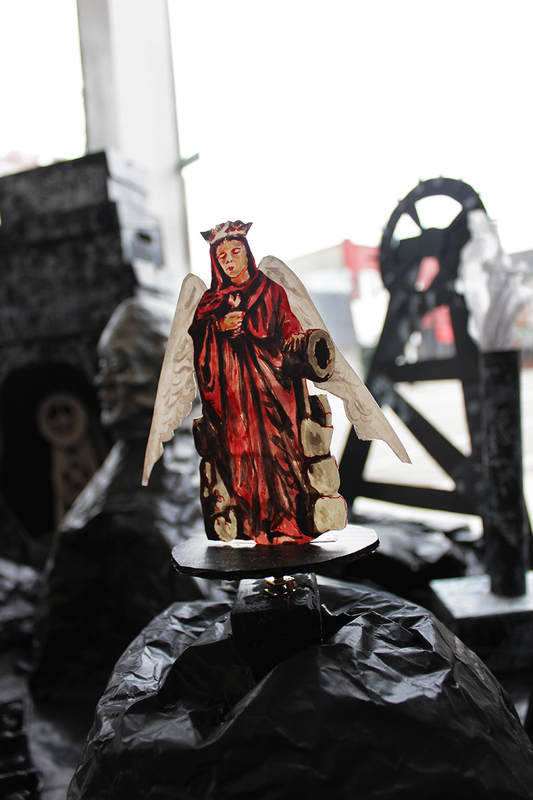 paper, cardboard, clay, acrylic, paper-litho transfers, electric motors. That coal is extracted from veins speaks to its intractable relationship with modern civilization, of which it provided for no small part of the modernization; it is the precious dead resource, requisite for (what we now deem to be) life, and one imagines the jugular running within the rugose hillside, a lacing through tellurian viscera, the ancient refuse of violent nascence and convection-driven tumult, a black line drawn hard through bone and hewed through blood and running right up the sides into the head of Philip Hartigan’s grandfather. 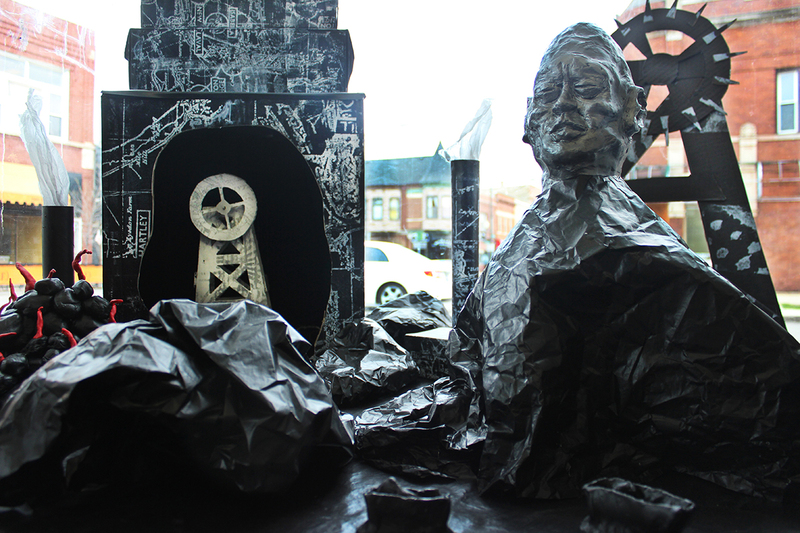 Corrugated as his environs, the head crowns a dioramic vignette, in one of Corner’s welcoming windows, which comprises the sculptural component of Hartigan’s installation concerning the coal running through his own veins.